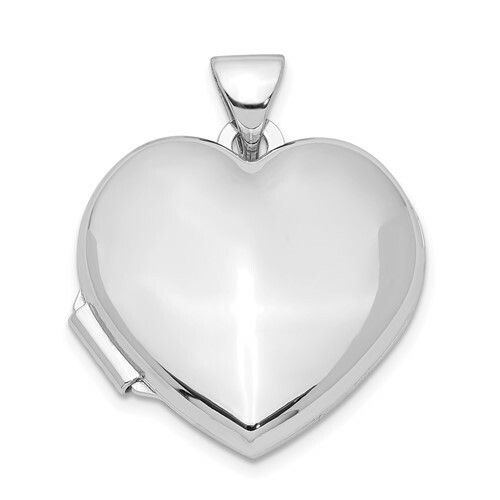 Plain heart locket. Weight: 1.75 grams. This item is the size of a dime. Dimensions: 11/16 inch tall by 11/16 inch wide without the bail. Chain not included.